In a straight line, the Big-Block from Hell is downright brutal...truth be the adage, "There's no substitute for cubic inches."! In the turns? Well...at the limit, BBfH can be a handful. That's one reason for the name! Run hard, the '63-'82 chassis lacks the composure of even the least aggressive Corvettes of the C4 era and seems like Fred Flintstone's car compared to a C5. Obviously a suspension and steering designed over a generation ago has limitations. Also, the age of some of the chassis components is showing. Ride and handling improvement is something we're going to address with the Big-Block from Hell series, and first, we'll look at the steering system. Turn a corner and your first sensation of the car's reaction (or lack thereof) to your intended new direction comes through the steering wheel. You may feel...nothing. The "nothing" is actually free-play, or "lash" as Chevy Service Manuals say, between the worm block teeth and the sector teeth inside the steering box. If the steering gear in your '63-'82 is badly worn; you may have a lot of lash and that's why whizzing into turns is a scary experience. Some steering lash is a mechanical necessity. Without it, steering effort is at least very high and perhaps infinite, ie. it locks up. The trick, is having the correct lash at the proper place in the steering travel. Confronted with a '63-'82 steering box having excessive lash; try adjusting it. Many Corvette enthusiasts have probably never done that. You need an assistant sitting in the driver's seat and light bright enough such that you can see the the Pitman arm at the bottom of the steering gear. This is a two-step process. If you have power steering, do both steps. If your car has manual steering, do only step two. 1) Park on reasonably level ground. Have the assistant start the engine, center the steering, then move the steering wheel back and forth such that the Pitman arm begins to move. Observe the power steering control valve assembly at the end of the relay rod. If it is not moving; the power steering control valve needs repair. That problem needs to be corrected before moving on to step two. 2) With the engine off, have your helper center the steering then move the steering wheel back and forth such that the Pitman arm begins to move. If there is lash, loosen the locknut on the sector shaft adjusting screw that comes through the steering gear side cover. (Ah, Chevy calls it a "side cover" in parts books and service manual, but it's actually on top.) Turn the adjuster clockwise until you feel resistance, go 1/8 turn more then tighten the lock nut. Jack up the front end to make it easier to run the steering through its travel and to feel subtile changes in effort. Run the steering lock-to-lock. If lash decreases and steering effort stays about the same or drops off in the off-center portions of travel; you have successfully adjusted your steering box. If lash decreases, but steering effort increases off-center; most likely, the sector and ball nut are worn to the point of needing a rebuild. With the Big-Block from Hell, we not only wanted a rebuild, but we wanted to improve the performance of its steering as well. Global West Suspension Components reconditions and upgrades (they call it "blueprinting") Corvette steering gears. Recently, we toured their facility in Rialto, California to observe this process. Steering gear rebuilds are covered in the Chevrolet Chassis Overhaul Manual and parts are still available, so most do-it-yourselfers with the right tools can do the work. However, some of the stuff Global does to improve steering feel is difficult to perform and requires large pieces of shop equipment. GW can have even a badly worn steering box working better than when it was new. Interestingly, Global's process is cheaper than buying a replacement steering gear from Chevrolet. The first step is tear down and cleaning. All bearings, recirculating balls and seals are discarded. After the first wash, the case, worm shaft, sector shaft and ball nut are glass-beaded then re-washed. Global West's Director of Engineering, Doug Norrdin, told us that the main cause of steering box wear is lack of lubrication. From '63 to '82, steering gears were filled with a lubricant meeting the GM 4673 specification. This stuff was a grease with no ability to flow. Over time, it dries out and, due to the back-back-and-forth movement of the steering gear ball nut, it packs at opposite ends of the worm shaft. However, the major wear point in a recirculating ball steering gear is mid-way down the worm shaft where the Pitman shaft sector teeth and the ball nut teeth interface. The grease packing causes lubrication at that point to become marginal, wear rate accelerates and soon, lash becomes excessive. Working with the people at Red Line Synthetic Oil Corporation, we've developed a solution to this problem. Red Line's Assembly Lube, used when putting a new engine together, makes an ideal lubricant for '63-'82 Corvette steering boxes. It has extreme pressure lubricity and good thermal stability. It flows just enough to keep the steering gear's internals lubricated over time. Assembly Lube comes in 4oz. cans and about four of them are required to fill a Corvette steering gear. Though grease packing is eliminated, the downside is that sealing becomes more important. With lubricants that flow, sloppy Pitman shaft bushings and the seal problems they cause are now unacceptable. That is one reason Pitman shaft bushing wear has to be addressed. The other is: less bushing clearance eliminates another source of poor steering feel. Global replaces the two production Pitman shaft bushings with oil-impregnated, bronze bushings that are 30% longer. There are several benefits to this: 1) increased durability through an increase in load-bearing area 2) the bushings are honed to fit each Pitman shaft so clearance is tighter 3) oil impregnated bushings are more reliable under high-heat situations, such as we have with the BBfH's #3 header pipe running very close to the steering gear. The bushings are installed into the steering gear case with a hydraulic press, then honed on a Sunnen Automatic Honing machine. The case is then painted with black primer and set aside. New worm shaft outer bearing races are pressed into recesses machined in the front of the steering gear case and in the worm shaft thrust adjuster screw. New bearings are installed into the case and the worm adjusting screw. Dykem (a dye used in the machine shop trade) is painted on the inner bearing races that are machined into the worm shaft, the shaft is installed, the adjusting screw is screwed in hand-tight, then the shaft is rotated several times. A pattern in the Dykem is left on the inner races. If it appears inconsistent, the inner races are dressed with a special type of abrasive and the pattern is rechecked. The purpose of this operation is to get worm shaft rotation as smooth as possible. A sign of age in '63-'82 steering gears are depressions worn into the center teeth of the Pitman shaft sector and the ball nut. Norrdin refinishes the surface of these teeth using a proprietary process. In most cases the depressions will be greatly reduced or removed altogether. This refinishing is the most critical operation in the Global West overhaul process. It optimizes contact between the ball nut and the sector and strongly affects steering feel. Three grades of refinishing are available. The first two are the "manual" and "power" grades. The third grade, called "autocross," tightens fit between the ball nut and sector in the off-center portion travel. This is intended for competition use and not recommended for road cars because the steering's rate of self-return is greatly reduced. The worm assembly end-play adjustment is next. There are 54 recirculating balls in a Corvette steering box. Production balls are .2800-.2803-in. in diameter. A worm assembly with stock balls often will have too much end-play...yet another contribution to poor steering feel. In addition to .280-in. balls, Global West stocks oversizes. They test fit each worm assembly with progressively larger ball sizes until end-play is at a minimum and operation is smooth. During the test fit process, the ends of the ball-guides are closely inspected and those with worn ends are replaced. A worn ball-guide end may fail allowing a ball to by-pass the normal recirculation path. When this happens the steering gear locks-up...obviously an undesirable situation. The worm assembly was coated with Red Line Assembly Lube and installed into the case. The worm adjuster threads are coated with silicone sealer. The screw is installed and tightened until worm shaft preload requires 5-to-7-inch/pounds of torque to rotate the worm shaft. This adjustment cannot be made by feel...an in/lb. torque wrench is necessary. Dykem is painted on the sector teeth and the sector shaft is installed. Norrdin bolts the side cover plate on backwards which allows him to view the mesh of the ball nut and sector while operating the steering box. A preliminary free-play adjustment is made, then the steering gear is run through its travel while the worm assembly and the sector are observed. Once this inspection is complete, the Pitman shaft is removed and the pattern left in the Dykem is examined. If the pattern is not acceptable, the process reverts to the refinishing step. If all is well, the Pitman is cleaned and reinstalled. The box is filled with lubricant and a bead of silicone sealer is laid down on the side cover mounting. The free-play adjuster screw and its shim is added to the side cover. The teeth on the Pitman shaft and the ball nut have a slight V-cut. This allows compensation for wear by adjusting the sector shaft downward. Because of the V-cut, moving the sector down tightens the fit between the two parts. In some cases, once the sector teeth are refinished, the additional clearance that comes as a result of the refinishing, has the Pitman lower in the case and the adjuster at the bottom of its travel. The solution is the longer adjuster screw from an early Ford Mustang steering box. This works well as during the '60s, one of Ford's better ideas was buying steering components from Saginaw. The old Mustang and second generation Corvette steering gears have common features, one of which is the diameter and thread pitch of this adjuster screw. Another important point is which side cover to use. In late-'69 or early-'70, Saginaw changed from a cast iron side cover having a replaceable upper Pitman shaft bushing to an aluminum side cover with an integral bushing. Norrdin prefers the early covers because he can install an oil-impregnated bushing and hone it to fit the Pitman shaft. Though the early covers are no longer available, Global has used pieces available at extra cost. The side cover assembly is bolted on. A preliminary free-play adjustment is made. Then, Norrdin attaches an inch/pound torque wrench to the worm shaft and operates the steering gear though its travel. This checks the unit's "effort curve." In the case of a box with "power" refinishing, the effort should be about 15-in/lbs. on-center dropping to around 5-7-in./lbs. off-center. Effort curves differ somewhat depending on refinishing grade and, generally, Global's specifications are slightly higher than production. If the effort curve is not correct, the steering gear is torn down and a the problem corrected. At this point the overhaul procedure is complete. The steering gear is painted semi-gloss black, is boxed up and shipped back to the customer. For restoration customers, the painting can be deleted. The affect a GW overhauled steering box had on the BBfH was noticeable. Free-play was reduced off-center and steering action was smoother. Better steering feel contributes to increased driver confidence in high speed situations...whizzing into those turns will now be not so scary. The recirculating ball system: how does it work? The "Recirculating Ball-Bearing, Worm and Nut" steering gear was developed by GM's Saginaw division. It was first used on the '55 Chevy and, by the mid-'60s, was the industry standard. It was introduced on the Corvette in 1963. The advantages of recirculating ball were low friction and better durability. Most importantly, direct contact between the worm and Pitman shafts is eliminated by a system of anti-friction, ball bearings. This dispensed with the higher wear rates typical of the worm-and-sector or worm-and-roller designs that predominated in the '40s and early-'50s. Though it is crude compared to today's rack-and-pinion systems; in the 1950s, recirculating-ball steering was break-through technology. The worm shaft has a helical groove of near semi-circular cross-section machined into it. The ball nut contains the same type of groove. Riding in these grooves, between the two parts, are ball bearings. As the driver turns the steering wheel, the worm shaft rotates. The ball nut moves up or down the worm shaft with the balls rolling between them. The teeth on the ball nut engage the teeth on the Pitman shaft and the its movement is transmitted through the Pitman arm to the steering linkage and thence to the front wheels. If you can visualize all this, it's easy to see, once the ball bearings complete their trip through the helical channel, there has to be some way to get them back to their starting point. This is the recirculating part. In the ball nut are vertical passages connecting the helical grooves and the outer surface of the nut. The holes on the outer surface are connected by horseshoe-shaped, tubular "ball return guides." The ends of these guides are shaped such that they scoop the balls out of the helical grooves at one side of the ball nut, feed them up and over a distance equal to two grooves, then inject them back into the helical grooves. The design of this system is such that, as the worm shaft rotates and the ball nut moves, the ball bearings are constantly recirculating through the circuit made by the helical grooves and the ball guides. S(a)1) In side the worm assembly, rolling in the helical grooves are the recirculating balls. The balls pass through the holes drilled into the worm block (excuse all the lube, but we shot this during assembly). Each pair of holes includes an intake and an exit. The U-shaped ball guides complete the circuit, by channeling the balls from the exit, over two grooves, to the entrance. The "C3" Corvette platform was the last GM passenger model to use 50s-vintage, linkage-assist power steering. Sadly, Saginaw's excellent 800-series integral-assist power steering boxes, first used on '64 Chevelles, were never adapted to Corvette. Linkage-assist was used until the platform went out of production in 1982. The '63-'82 system consisted of an engine-driven pump, a control valve on the steering relay rod and a hydraulic power assist ram mounted between the left side of the frame under the steering gear and the center of the relay rod. This type of power steering has limitations. Nevertheless, we're stuck with it on the Big-Block from Hell, so we want to make the best of it. The control valve is the brain of the system and the component most important to steering feel. It directs fluid pressure to the power ram such that assist is applied at the appropriate time and in the proper direction. The key parts of the control valve are: the ball pivot assembly inside the control valve "adapter" section, a spring (variously labeled in Chevrolet service literature as a "centering spring" or a "valve spring") and a "spool" valve inside the "valve housing" section. The steering box Pitman arm moves the pivot ball left or right. As soon as spring tension is overcome and the pivot ball moves just enough to contact the spool valve; hydraulic pressure is fed to the ram and power assist begins. If the control valve becomes excessively worn, a delay in power assist can be felt in the steering. This is not lash mind you, but a transition between non-power and power steering. 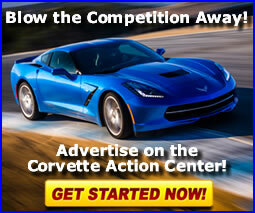 The solution is a rebuilt power steering control valve and a source is Vette Products of St. Petersburg, Florida. On arrival at VP, units are disassembled and all seals are discarded. With any hydraulic device, cleanliness is next to godliness, so everything goes into a tumbler that cleans with a solvent and a mildly abrasive, ceramic cleaning media. Next, the valve housing is stamped with a serial number which allows quality control tracking. The spool valve, which is truly the "control" part of the control valve, is inspected for wear and replaced if necessary. All hose connection seats on the valve housing are replaced as are the pivot ball boot and boot strap that go on the adapter housing. The valve is then reassembled. For use with the Big-Block from Hell, at our request, Vette Products installed an experimental, higher-rate valve spring. We hope this improves steering performance on our car with its large tires. As testing of the BBfH progresses this year, we will report back on this. For further information about special springs, call VP's technical support line 813-345-529. Each control valve is run on a test fixture that puts full pressure to the unit. It is checked for leaks and the spool valve is "balanced" so the level of power assist is equal in both directions. Another option is of interest to those doing restorations...you can order your valve unpainted. We found instructions for rebuilding the control valve in the Chassis Overhaul Manual and thought about, maybe, doing the job ourselves. However, some replacement parts are not available through conventional channels and, once we learned that VP supplies rebuilt valves for $80 bucks, exchange; we figured...why bother. We couldn't beat the price. A couple of tips. When replacing the control valve, check the ram for leaks. If you see any that come from other than leaky hose fittings (which you fix by tightening), replace the ram. Use new hoses with a new control valve. The proper hose hookup between the control valve and ram is not visibly apparent. Consult the pictures in a Chassis Service Manual for the correct "crossover" hose run. Use Red Line Synthetic Power Steering Fluid or other fluid intended for power steering use. Use automatic transmission fluid only as a last resort as ATF is really not a wise choice for hydraulic systems. For more information write: Vette Brakes and Products, 7490 N. 30th Av., St. Petersburg, FL 33710 or to order, call 800-237-9991.